Any pizza lovers out there? A good news for all the die-hard fans of pizza including me! In collaboration with Ejohng Concept in Johor, Anchor Food Professionals which is the leader in dairy food services segment has launched their artisanal PizzArt that takes the enjoyment of pizzas a notch up into an art form. I was really excited as pizza is my all time favourite and I love Anchor's food products like cheese, butter, milk and many more. What amazed me the most is that they are creative enough to transform Pizzas into so many shapes and designs which are so attractive and photogenic! Imagine that you are eating an awesomely artistic pizza that served with hot melted cheese...... Omg it's the way too tempting to me! A sneak-peek of these beautifully-designed pizzas. Arghhhh I can't stop myself from capturing photos for them as they are appealing to the taste buds as well as the eyes! Well, I know that you all are drooling now so I should stop describing how unique their pizzas are haha! However, if you are interested with PizzArt campaign which is specially launched by Anchor Food Professionals, you are lucky enough as I will share my great experience with these fancy pizzas in this post! 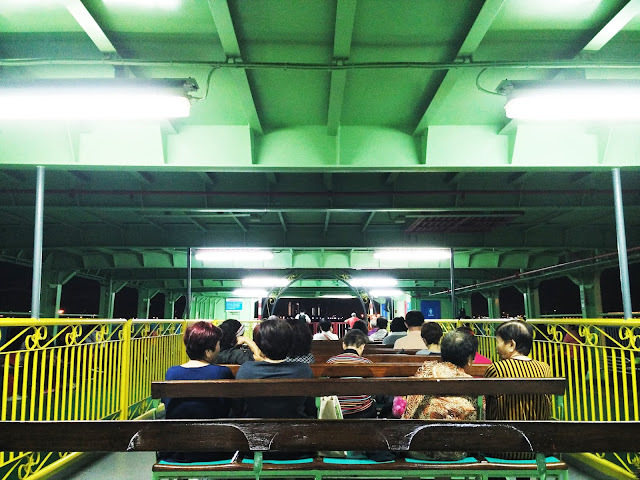 WARNING: Make sure you had your breakfast/lunch/dinner/supper before reading this post, or else you will ravenous and craving for cheesy pizzas after that! 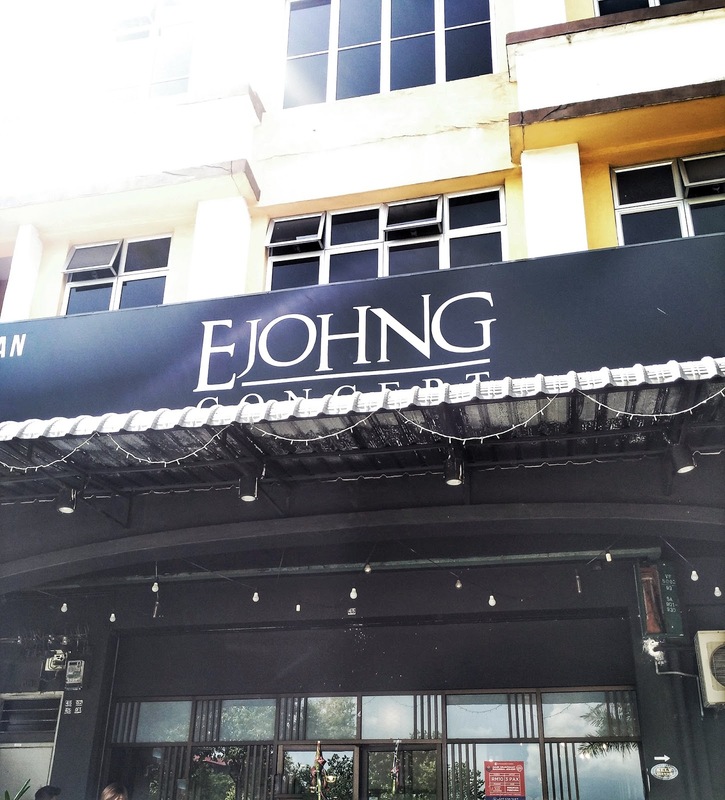 The event was launched at Ejohng Concept, a quaint and cosy cafe which is just perfect for you to settle down over conversation and good food. 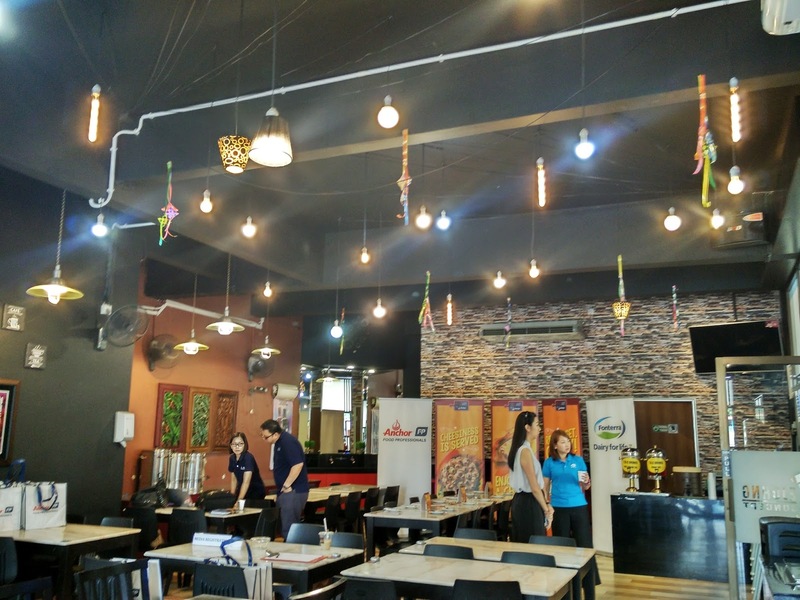 For your information, Ejohng Concept is one of the 24 outlets in Peninsula and East Malaysia that collaborated with Anchor Food Professionals to introduce the campaign 'PizzArt'. 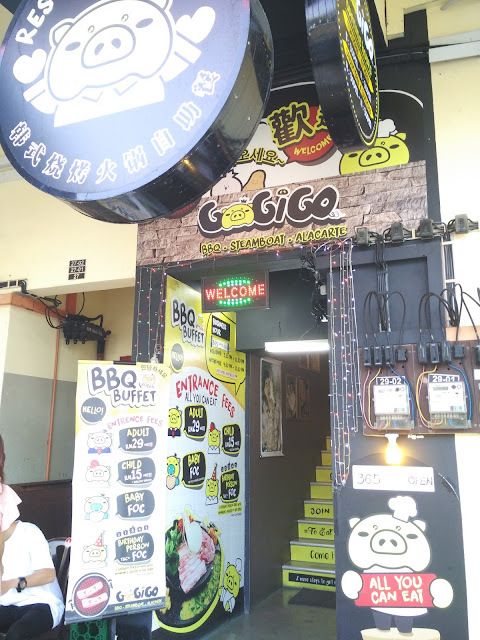 The black theme of the cafe provides a cooling sensation despite the hot weather outside. 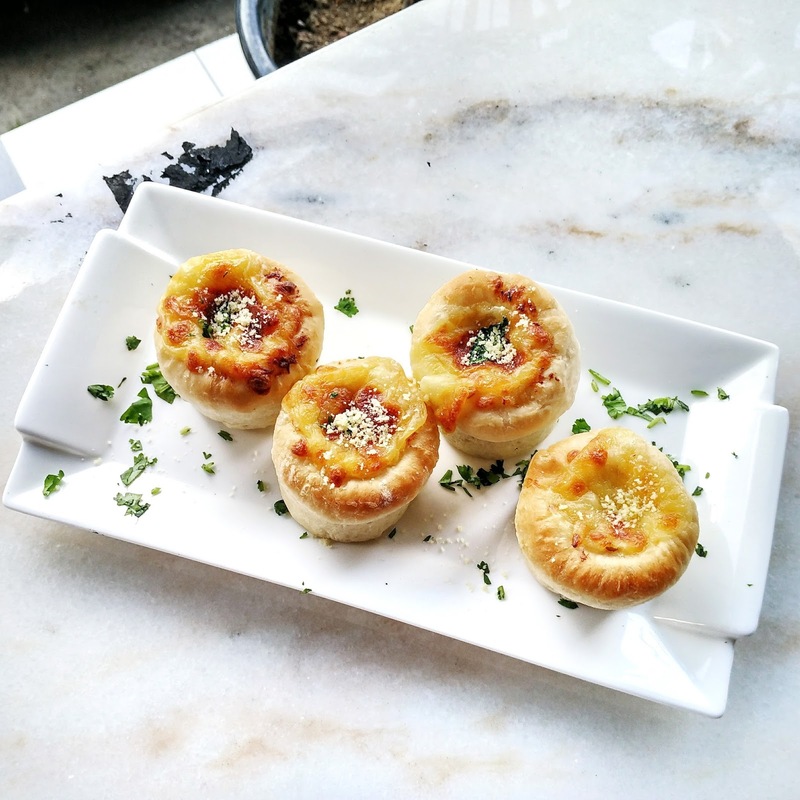 The range of artisanal pizzas that are launched by Anchor Food Professionals included Adjaruli Khachapuri, Mini Muffin Pizzas, Flower Pizzas, Pizza bombs and Pot Pie Pizzas. For Ejohng Concept, the available artisanal pizzas are Adjaruli Khachapuri, Mini Muffin Pizzas and Flower Pizzas. Perhaps the others will be introduced at the later time so stay tuned for any updates from Anchor Food Professionals and Ejohng Concept okay! 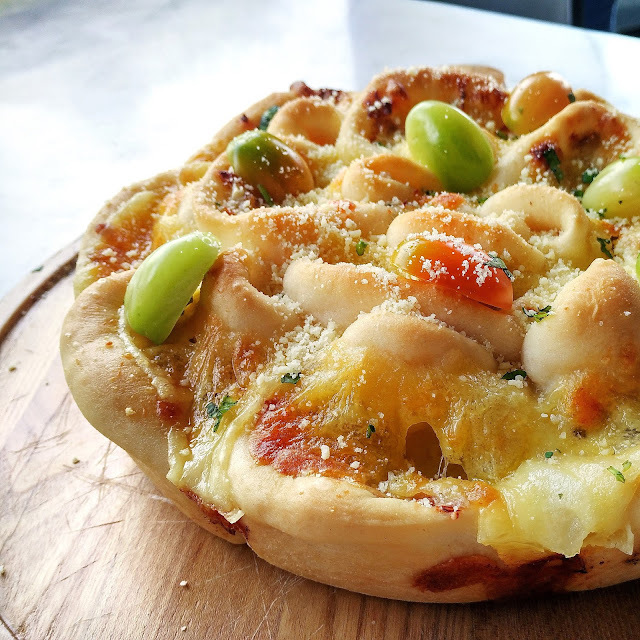 As its name implies, Flower Pizza is an unusual kind of pizza that is specially-designed into a flower shape. Not even an exaggeration, the flower pizza not only looks good but tastes heavenly good at the same time! 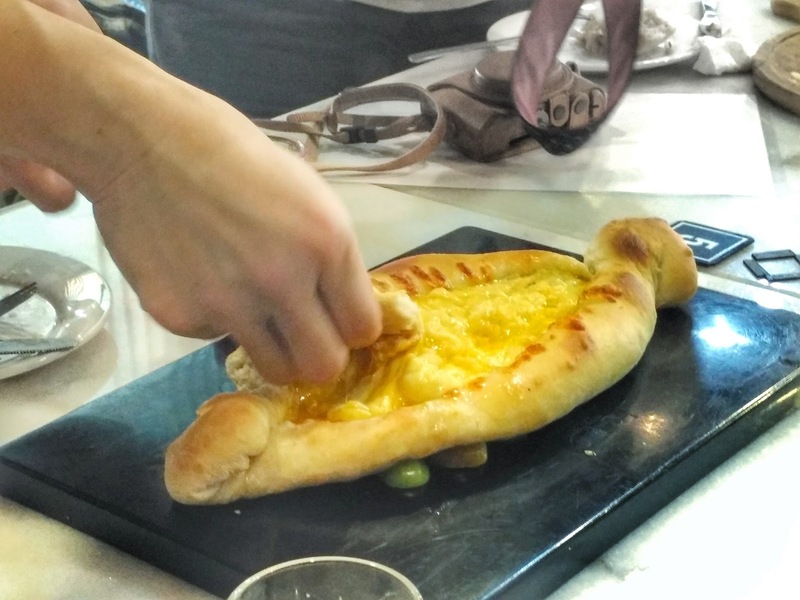 Apart from its unique shape, the combination of Anchor's cheese with the spongy and fluffy dough was really a paradise for me! Not forgetting to mention the juicy tuna fillings which really make me appetising as the taste was just nice when served with the pizza crust. 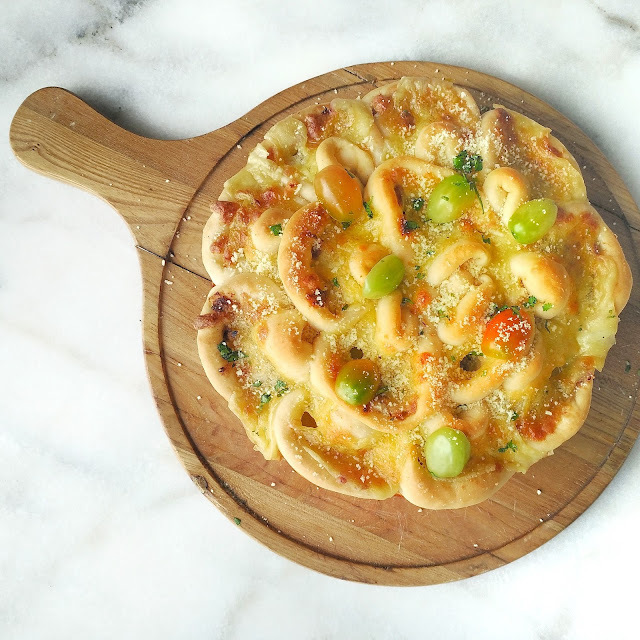 Topped with cherry tomatoes which are high in nutritional value, the flower pizza is definitely a healthy and satiety food choice for each and every one of us. Another must-order dish for all the cheese lovers! 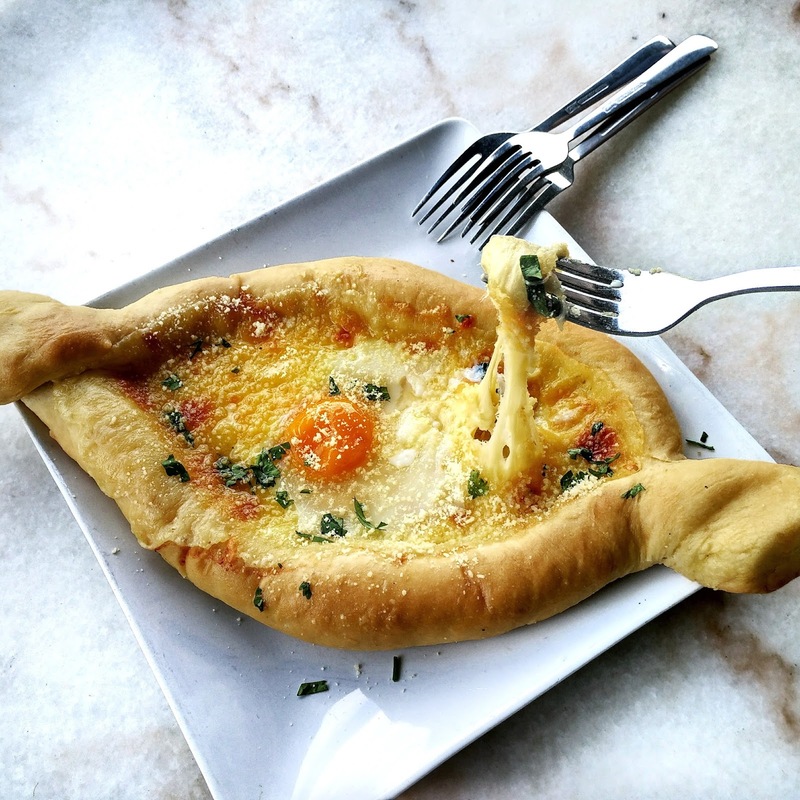 Best served while hot, Adjaruli Khachapuri was originated from Georgian, and it is a boat shaped pizza filled with hot-melted cheese and a runny egg. The Anchor's cheese and butter are all brought in from New Zealand which is in high quality. Let's dip the crust into the melted cheese that had uniformly mixed with the oozing egg. The thick strand of cheese melts immediately in my mouth, following by a strong buttery aroma that lingers around. My taste buds satisfied, and my heart melted. 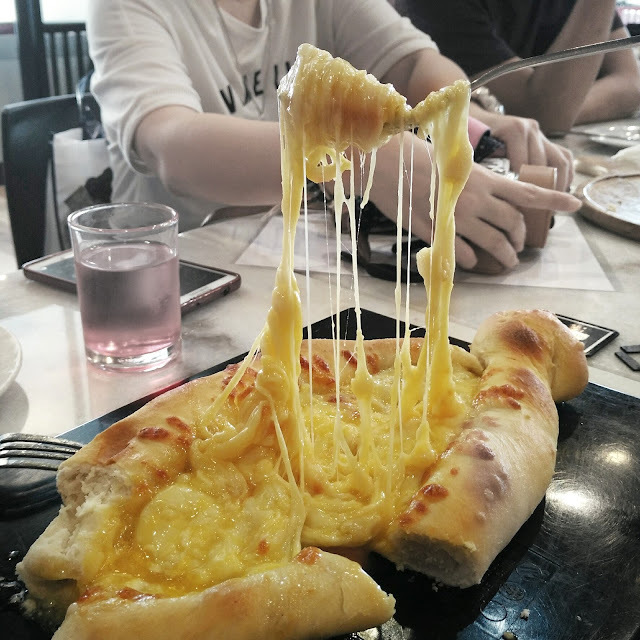 Oh no look at the long strand of cheese. Can I just jump into the sea of cheese and swim like a happy girl? It will be definitely a heaven for me! Available in chicken, beef, tuna and duck fillings, Muffin Pizzas Set are bite-sized versions of delicious pizza and perfect for breakfast. To me, the size was just nice as an on-the-go snack without too filling in the stomach. 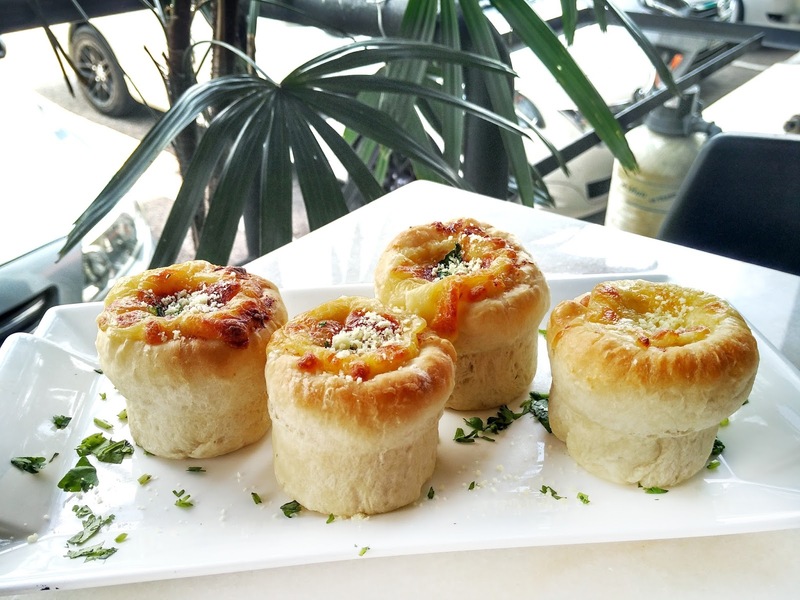 Unlike the ordinary pizza which is usually too big in size, this cute piece of muffins pizza eliminates the hassle of sharing the same flavour of big pizza with your friends. You can just choose the flavour you like and enjoy yourself! For your information, the Pizzas are halal-certified and created using only the finest ingredients such as Anchor Mozzarella Cheese, Anchor Butter, Anchor Culinary Creams and Anchor Cream Cheese. 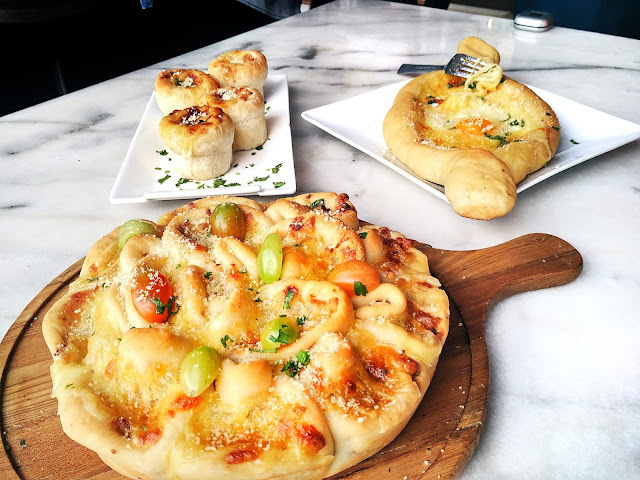 The artisanal pizzas will be available from now to mid November 2017 at Ejohng Concept in Johor, Movida Johor and Melaka, US Pizza in Bayan Lepas and Georgetown, Lunarich in Gurney Paragon, Movida and U Pizzeria in Perak, The Chubs Grill and Mad Ben Café in Sabah and Chillax Café & Bistro, Coup De Grill and Bistecca & Bistro in Sarawak, and Movida and U Pizzeria in Klang Valley. 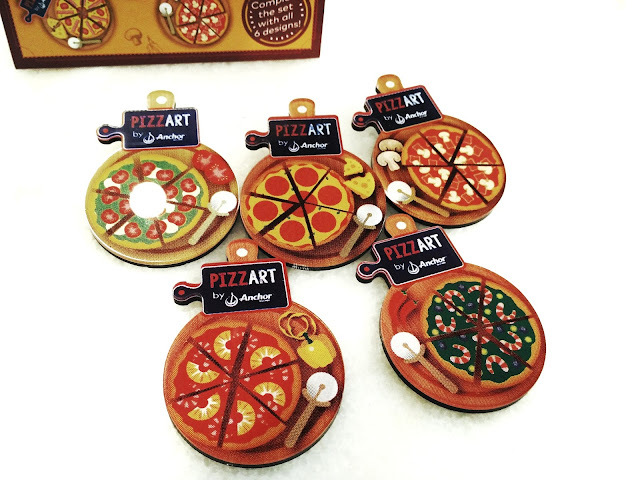 Other than some fun contests on Anchor's Facebook in the month of July to win exciting prizes, you can also get yourself a cute PizzArt Fridge Magnet for FREE for every order of PizzArt menu! Let's collect all before it is too late! 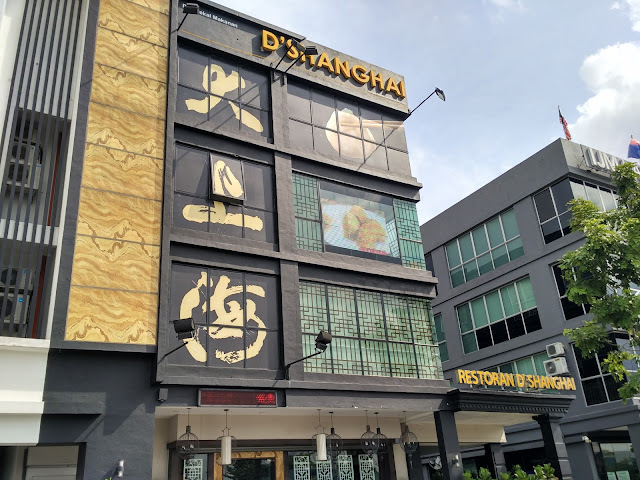 Location: 45, Jalan Pulai Perdana 11, Taman Sri Pulai Perdana, 81300 Skudai, Johor. Operating hour: Every day from 4-11pm.